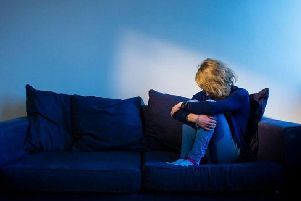 The regional findings, released by mental health anti-stigma campaign Time to Change, shows that fewer than 20 per cent of those with a problem would come clean after such an initial inquiry. l I’d only talk if I was confident my friend or family member really wanted to listen. The national survey highlights that asking “How are you?” often prompts no more than a meaningless exchange. To tackle this, Time to Change is urging people to “Ask Twice” if they suspect a friend, family member, or colleague might be struggling with their mental health. The campaign says the simple act of asking again, with interest, shows a genuine willingness to talk and listen. Ask Twice is launched as part of Time to Change’s In Your Corner campaign, which encourages us to be more open and supportive of the one in four people living with a mental health problem in any given year. Time to Change has compiled tips on how to support a friend who does open up: take it seriously, don’t judge; actively listen – ask open questions, summarise to show you’ve listened and reflect; remember you don’t have to fix it; and simple “that sounds difficult” can show you care. For more details, tips, and to view the campaign video, visit the Time To Change website.